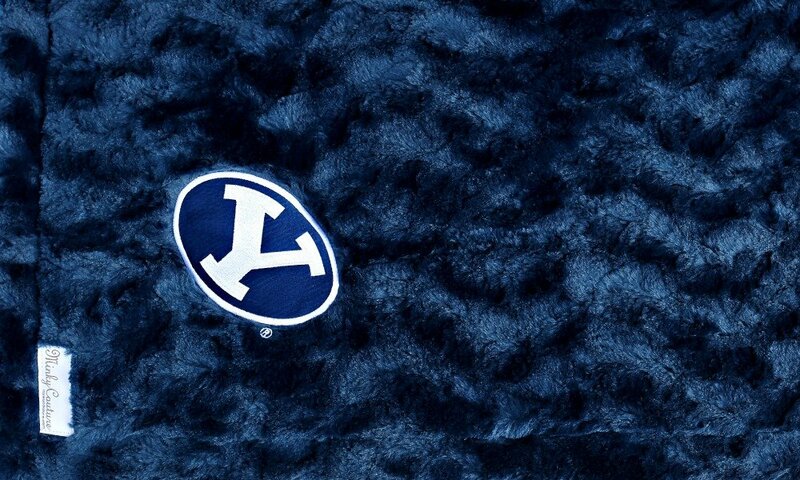 Show off your team pride with our divinity fabric in Cougar blue with official "Y" oval logo embroidered patch. Navy plush minky on both sides with no ruffle. No coupon? No problem! We've already marked it down for you. Go Cougars!